(April 25, 2018 – Toronto, ON) Toronto-based conceptual artist Joële Walinga must have had a lot to wrap her mind around when it came to the making of her second film and first feature-length documentary. 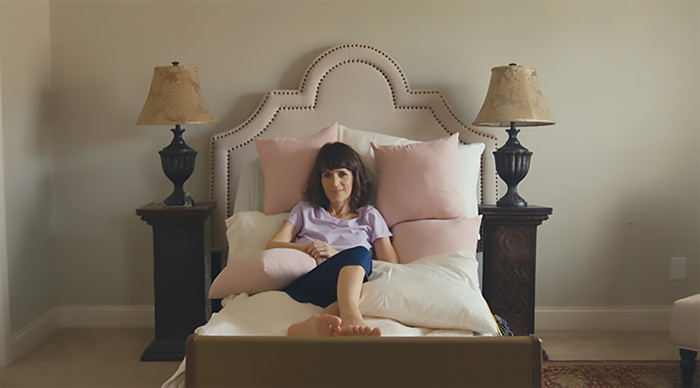 It’s titled God Straightens Legs and it’s about her mother’s diagnosis of breast cancer. Renée Davies, a Christian French-Canadian expat in the American South, made an uncommon and controversial decision following her diagnosis five years ago. She remained committed to her rejection of conventional medical treatments and opted for alternative approaches primarily healing through prayer. On December 25th, 2016, after cancer spread from her breast down to the bones in her legs, Renée suffered a fracture to her femur, leaving her stranded and bedridden. She remained in bed for over six months, each day believing and praying that the following day she would walk again. On the seventh month, Renée was informed that her bone had healed, albeit crookedly, and that she could work on regaining her mobility, beginning with a wheelchair. Needless to say, this was greeted as just the first of several required miracles. While viewers of all faiths can accept this visual retelling of a highly personal story on its face value, it can also equally be assumed that some will not be quite so definite in their optimism. What is clear is that Renée Davies’ faith remained unwavering. The first half of God Straightens Legs explores Davies’ immobility, and the second half explores her newfound mobile freedom. 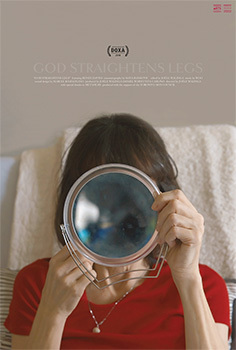 God Straightens Legs will have its World Premiere at DOXA Documentary Film Festival in Vancouver on Tuesday, May 8 2018 at 8:45PM at the Vancity Theatre, 1181 Seymour St. Click here to learn more about director Joële Walinga and follow the link to watch trailer for God Straightens Legs.